From 11th to 15th of June 2018 in Goteborg in Swedish Exhibition & Congress Center 12th European Conference on Non-Destructive Testing (ECNDT 2018) will take place. The conference will be held in the format of sections in which the participants will be acquainted with the reports submitted for all NDT methods. Our specialists will present information on the latest developments and scientific researches of our company. In the framework of the conference will be held an exhibition and we are pleased to invite you to visit our booth where the company Acoustic Control Systems will present the whole range of manufactured products, including the latest developments. The 31st Control – International trade fair for quality assurance takes place from April 24th to 27th in International Congress&Exhibition Center Stuttgart, Germany. Acousic Control Systems (ACS Group) attends this international event and presents the full range of its serial products, including recent developments for ultrasonic testing of metal and concrete. We are pleased to invite you to visit our booth in Stuttgart, where our specialists will demonstrate the newest ACS instruments and answer your questions regarding emerging technologies of ultrasonic UT. You can find additional information at www.acs-international.com, as well by e-mail: info@acs-international.com and phone +49-681-96592270. 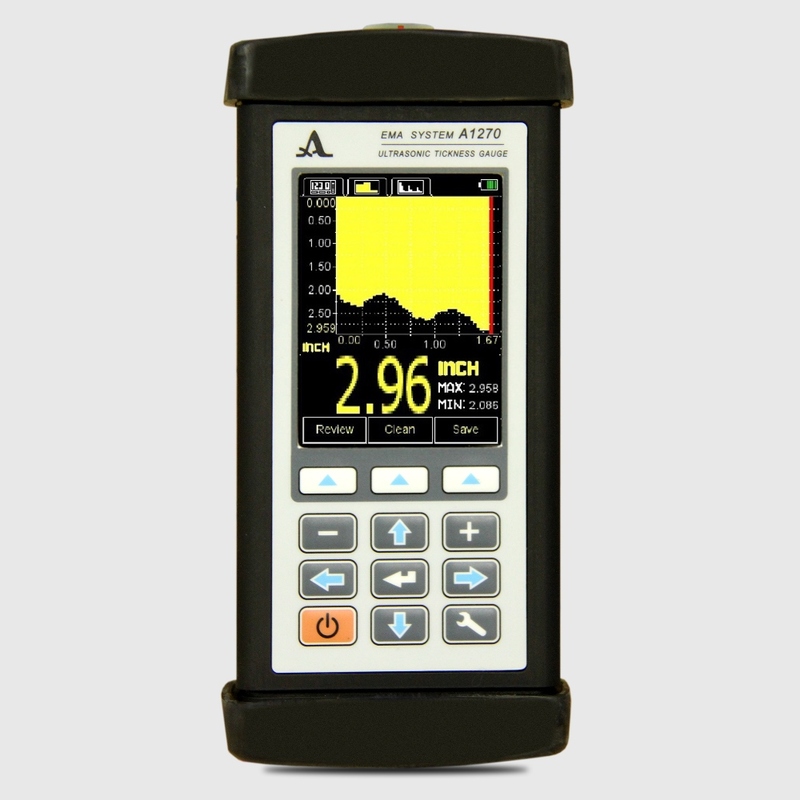 Our company has released a new version of the firmware of the electro-magnetic acoustic thickness gauge A1270. Now, in addition to the MEMORY and A-SCAN modes, B-SCAN mode is implemented in the device. The B-SCAN mode is used to search for corrosion damage during scanning of the inspection object. Graphical B-scan is formed from the results of measurements obtained during scanning. A1270 is EMA thickness gauge with an innovative electro – magnetic biasing technology implemented in EMA transducers. 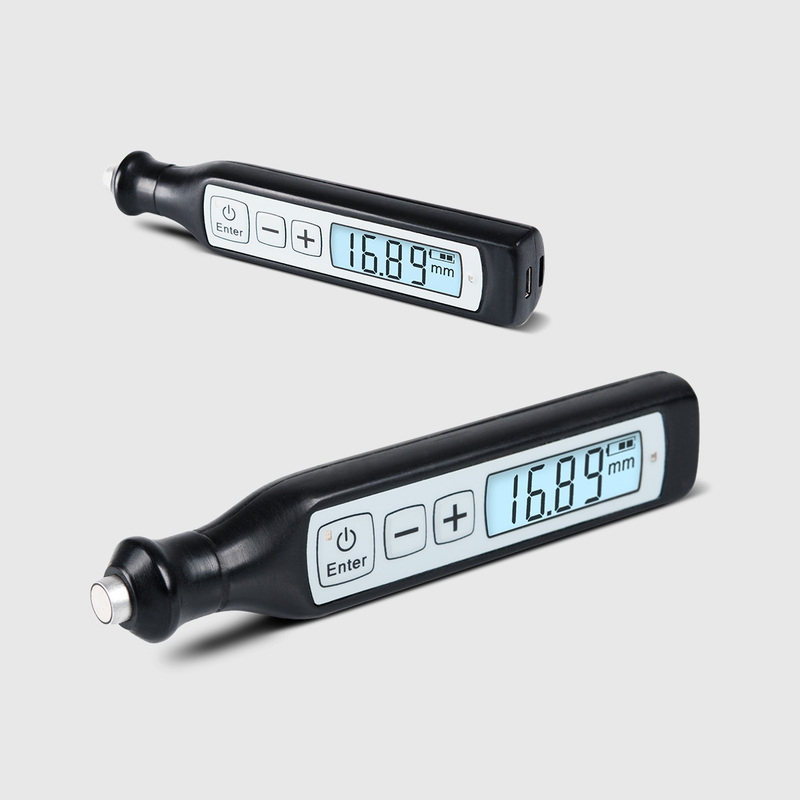 Please note that the delivery period of the EMA thickness gauge A1270 has been reduced to 10 days! 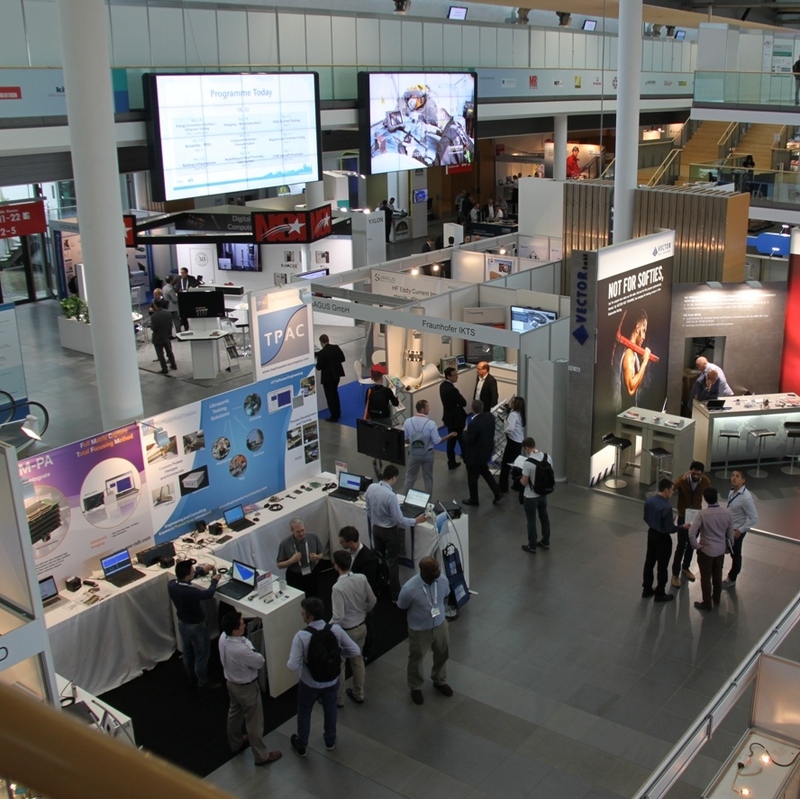 The 31st Control – International trade fair for quality assurance takes place from May 9th to 12th in International Congress&Exhibition Center Stuttgart, Germany. The 14th RO-KA-TECH International Trade Fair for Pipe and Sewer Technology takes place from May 10th to 12th in Kassel, Germany. 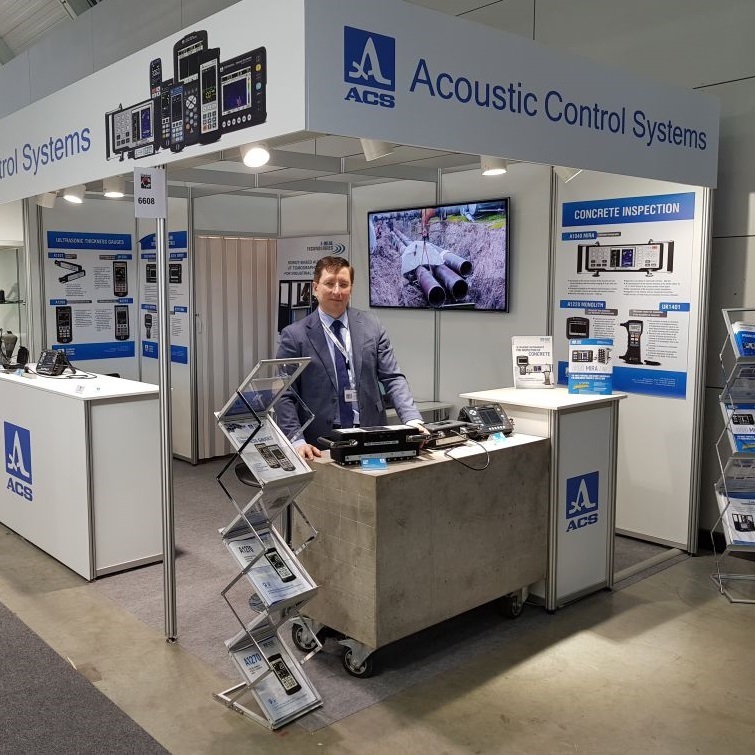 Acousic Control Systems (ACS Group) attends these international events and presents the full range of its serial products, including recent developments for ultrasonic testing of metal and concrete. We are pleased to invite you to visit our booths in Stuttgart and Kassel, where our specialists will demonstrate the newest ACS instruments and answer your questions regarding emerging technologies of ultrasonic UT. 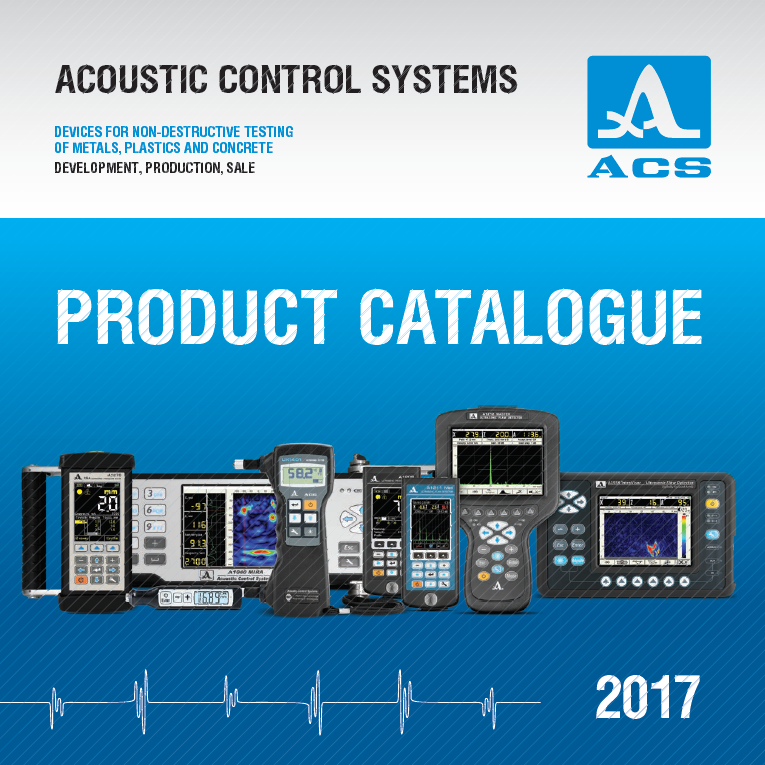 We would like to offer you an updated PRODUCT CATALOGUE 2017 traditionally containing information about entire equipment range of Acoustic Control Systems, Ltd. Throughout the pages of catalogue you can find the details of the manufactured devices, transducers and accessories.